Weight loss is a topic that is difficult for individuals to outwardly talk about. Many people try diets and exercise regimens, but don’t experience the positive results that they are looking for. Some people are successful in losing the weight, but keeping the weight off long term is extremely difficult. One of the strongest motivators for weight loss is incorporating a social component into your weight loss routine. Planned exercise with a friend or family member, hiring a personal trainer, or coming up with a plan for eating better and walking with co-workers during your lunch break at work are examples of ways to encourage a long term commitment to better health. St. Paul Chiropractic and Natural Medicine Center focuses on helping clients achieve optimal health and can customize a program for you to help you meet the weight loss goals that you have set. 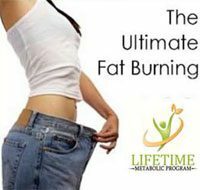 One highly effective program our team has developed is our popular weight loss corporate events. Make A Lifestyle Change Now! Being overweight can have severe health consequences over time and is linked to Type 2 Diabetes, high blood pressure, heart disease, stroke, fertility problems, osteoarthritis and even cancer. There is no better time than now to make a change in your life. This is not easy to do alone. You and your co-workers can make a change together when you partner with the team at St. Paul Chiropractic and Natural Medicine Center. We can organize a corporate event for your business and bring this information to you. For more information or to schedule an event, call us at 651-644-7207. Invest in your employees, and in their health and you will see a return on your investment. St. Paul Chiropractic & Natural Medicine Center, is a well rounded chiropractic center located in the St Paul that has nearly 20 years of experience. 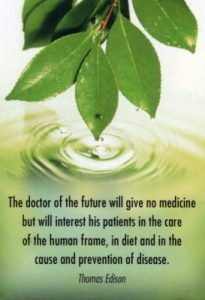 Our Doctor, Dr. Chris Lilja, has helped better many people’s life. Our team specializes in chiropractic care, clinical nutrition, weight-loss, massage therapy, exercise instruction/rehab and natural medicine.